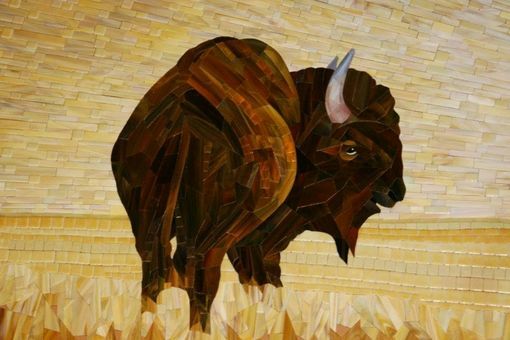 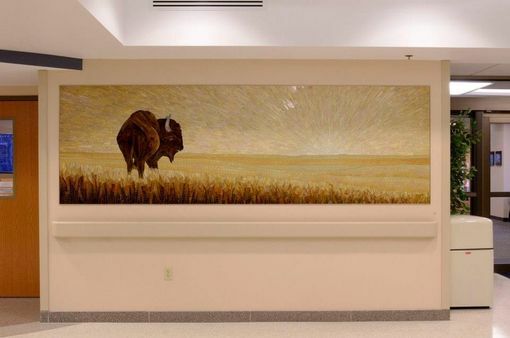 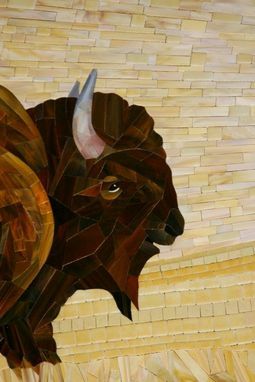 A mosaic mural created for the lobby of a medical building on an AirForce base in South Dakota. 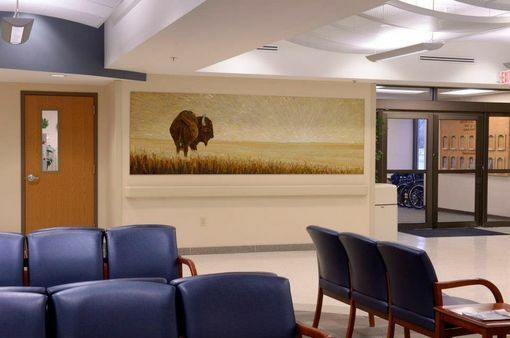 The original design was a painting by South Dakota artist Gary Hartenhoff. 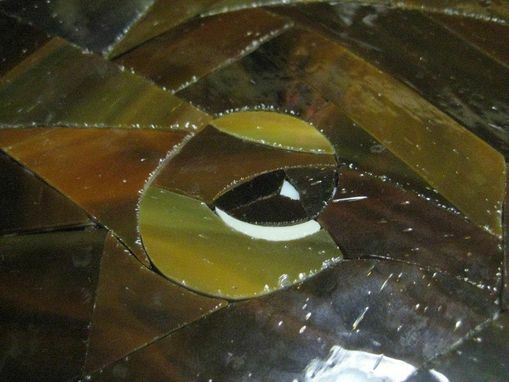 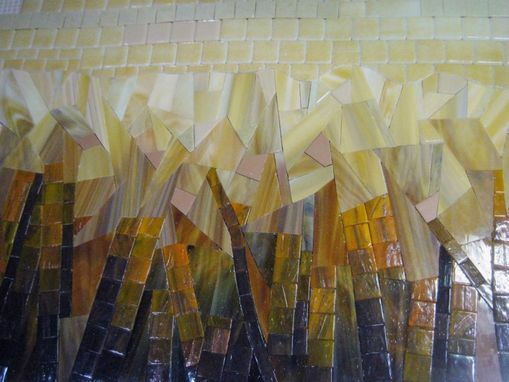 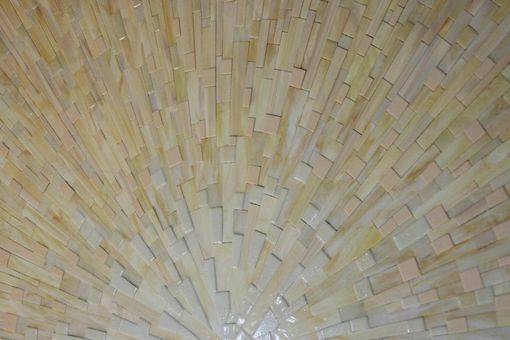 The mosaic was created using glass tile and stained glass, and measures 42" x 132"